Long time readers will know that I have a particular affinity to Victoria BC-based comedy troupe LoadingReadyRun. They're funny, they're creative, and most importantly they have hearts of gold. On November 20, 2009, the team began their annual Desert Bus For Hope charitable event and over five days raised $132,608.94 for Child's Play. What an outstanding achievement. They raised the money by playing the world's most boring video game, ever, called Desert Bus. 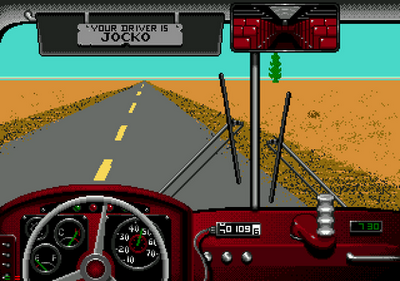 Desert Bus is 16-bit simulator that has the player drive a completely empty bus between Tucson, Ariz. and Las Vegas in real time at a maximum speed of 45mph. A one-way trip takes a full eight hours to complete, and the game cannot be paused. If the player manages to complete the road trip, they're given 1 point and given the option to make the return trip to Tucson for another point." Yeah, you're right! Looks like it's really a boring game. Anyway, congrats for BC gamers on earning that huge money despite the fact that the game is considered as the most boring game at all. If I were to choose which game I would play, I think I would rather choose playing World of Warcraft.